Considering investing in a Blu-ray player? Blu-ray has taken over standard DVDs in the last few years, offering higher definition for both your favourite films and games. While they have the same format as DVDs and are just as simple to play, the notably higher quality is recommended if you want the full home cinema experience. Blu-ray discs are also not compatible with your standard DVD player, however, which means you’ll need to invest in a new device in order to enjoy the privilege of better quality images. Some Blu-ray players have more features than others, but what you can rest assured by is that all Blu-ray players have backwards compatibility, which means you can watch all of your DVDs on a Blu-ray player still, you just won’t get the same quality. Some of the newer Blu-ray players have features such as internet connectivity which allows you to stream content from the likes of Prime Video, and you can control all of this via an app on your smartphone. 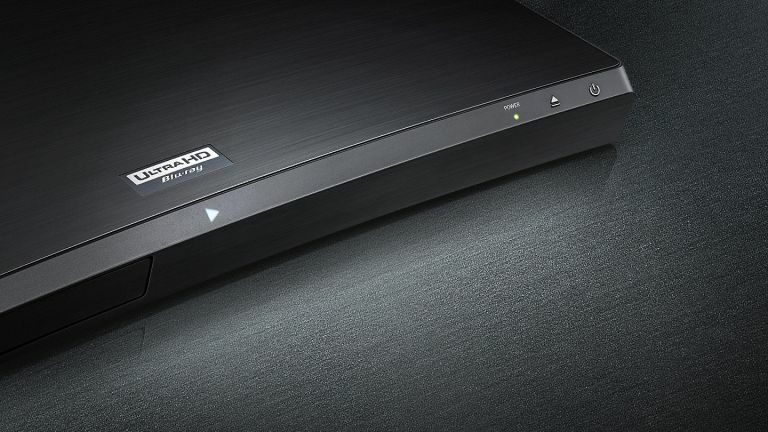 Browse our pick of the best Blu-ray players, suitable for varying budgets and requirements. For more expert buying guides, take a look at our technology hub page. If you want the best of the best, we'd recommend investing in this model from Panasonic. With 4K and smart features, you really can experience cinematic viewing from the comfort your living room. Image quality is considered to be significantly better than that of a standard HD Blu-ray player and smart features include being able to mirror your smart device to the player to stream videos or images. If you like to watch 3D movies, then this device is also said to display incredible 3D images and look particularly good on a 4K or OLED TV. Browse our guide to the best OLED players if you're looking to set up a high quality system. Shop more 4K Blu-ray players on Amazon. If the 4K Blu-ray player is completely out of your price range, this Sony player is the next best thing and comes in at a fraction of the cost. Users report excellent image quality, with the option to upscale to 4K, if you have a 4K TV, proving particularly popular. On top of this, a small and compact design that's easy to use makes this Blu-ray player a quality piece of equipment. Users were a little bit disappointed in its lack of apps, but with such good sound and image quality, this Blu-ray player is excellent value for money. Browse more Blu-ray players from John Lewis & Partners. Yes, this Oppo Blu-ray player is expensive, but it really is true that you get what you pay for. Customers have praised this device for its all-round quality from the images to the sound and even the build quality feels luxury. If you’re serious about movies and want to have the best viewing experience, then users are saying that this player ticks all the boxes. It doesn’t quite make our top spot due to its luxury price tag, but if you want something that will last, then this Blu-ray player is certainly a worthwhile investment. On top of its stellar performance, it’s also said to be super quiet and speedy which makes the entire process that much more enjoyable. If you're a fan of watching 3D films, this is the best Blu-ray player for you. In addition to playing Blu-ray DVDs in high resolution, non 4K content, including documentaries and other TV content, will be upscaled to HD thanks to this handy player from Sony. Complete with a range of apps such as iPlayer, Netflix and more, multi-room compatibility means you can use your Blur-ray players as a hub to stream music to throughout the house, via Sony multi-room speakers. Browse more Blu-ray players available from Currys. If you simply want a Blu-ray player to enjoy movies, this Sony player will get the job done without breaking the bank. It boasts no frills, but is simple to use and has the basic TV streaming apps available. Despite not having 4K quality, users have been impressed with the images and the speediness of the box itself. For those who are looking to invest in their first Blu-ray player, or who don’t watch movies that often, then this is an affordable alternative to some of the flashier models that will still provide excellent entertainment. Does your family always argue over what to watch? If you can’t agree on a movie, then you can use this Blu-ray player to stream different things to different devices. For example, one person could be watching TV, while another streams a film from the Blu-ray player to a tablet or smart phone. Customers found this Blu-ray player to be quite large, so make sure you have the room in your TV cabinet for it first if you hate messy cables. It's also worth considering that, while this Blu-ray player boasts 4K quality, it does not offer 3D. However, for many this will not be a deal-breaker. If you’re a gamer, investing in an XBOX One S could save you some money on buying a Blu-ray player separately; offering 4K quality that's ideal for both gaming and viewing experiences. If you’re not a gamer, this could just be an unnecessary purchase, but for large families who all like different things, this is a great multifunctional console that will save TV cabinet space. You can also take advantage of apps such as Netflix, Amazon Video and you’ll get a 14 day Xbox Live Gold trial. Browse more Blue-ray players from AO.